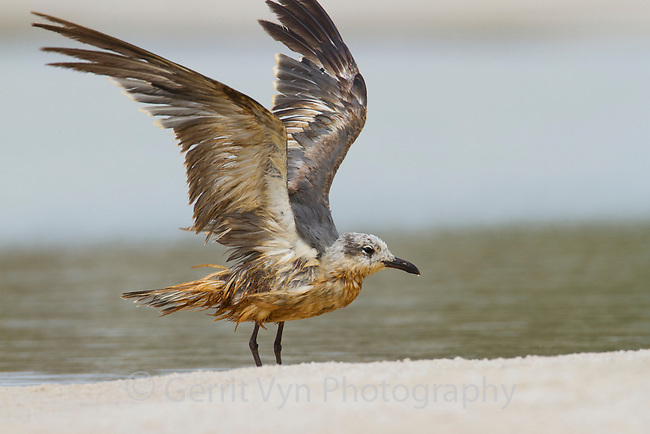 Heavily oiled immature Laughing Gull (Larus atricilla). Baldwin County, Alabama. June.